With, the end of the school year it is time for our summer adventures. Our themed summer program will keep your child learning with an all-day, all-fun program. Summer Camping at KIDDIELAND ECE allows the children to “break away” and leaves them rejuvenated to return to the more diligent nature of structured activities during the school year. They are allowed the freedom to invent their own projects, they are physically challenged, and they have a chance to participate in service activities within the community and learn new skills. 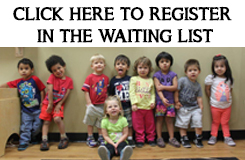 The schedule is flexible and offers enough security, independence and stimulation to meet the needs of the child. KIDDIELAND ECE offers a variety of unique and exciting Enrichment Camps and Special Interest Clubs to inspire and educate the camper. Enrichment camps will enhance your child’s summer experiences and the Special Interest Clubs provide much creativity and variety involving both indoor and outdoor activity and use of large and small motor skills. Throughout the Summer Camp, students will participate in different on site events to enhance their curriculum. Because we now have our beautiful playground, we hope to utilize it for all of our onsite entertainment, sand and water play, and picnics. As always with our open door policy, we welcome parents/guardians to participate in our activities, visit our shows, and serve as chaperones. • For safety and security reasons, please know that we have limited the number of major outings as we prefer to keep the children within the Kiddieland ECE building, playground, or in facilities which house smaller capacities. One permission slip is included with your contract which covers all field trips. • Please, dress your child comfortably so that he or she may take advantage of all learning opportunities, indoors and outdoors. Your child should wear clothing that is washable and adaptable to food spills, paint and water play. • Please provide a labeled Ziploc bag with one pair of extra socks and exchange the current winter clothing for summer clothing to be left in your child’s cubbies.